Home » » 14-year-old Boy Who Bought One-Way Ticket To London 10 Years Ago and Was Never Seen Again. 14-year-old Boy Who Bought One-Way Ticket To London 10 Years Ago and Was Never Seen Again. The story has been told of the boy who bought a one-way ticket to London some ten years ago and was never seen again after that. 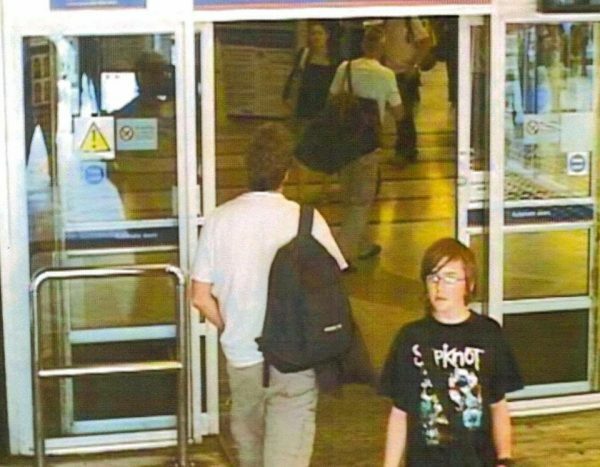 It’s been ten years exactly that schoolboy Andrew Gosden, 14, left his family home in Doncaster, bought a one-way ticket to London and was never seen again. To this day, Andrew’s whereabouts remain a complete mystery, and his devastated family reveal the anguish they have suffered at their loss. Parents Kevin and Glenys discovered that their “quiet, gentle and intelligent” son was missing on September 14, 2007. The night was like many others, with the Gosden family, that included their 16-year-old daughter Charlotte, about to sit down for dinner together. Straight A* student Andrew was thought to have been playing on his games console in the converted cellar of the Gosdens’ home in Balby, as he liked to do after school. The family called out that the evening meal was ready on the table, but were met with no response from downstairs. When they searched his bedroom they found Andrew’s McAuley Catholic High School blazer and tie folded over a chair, with his shirt and trousers in the washing machine. Panicked, the family set about making phone calls and discovered he had skipped school that day. It later emerged that he had put on his uniform in the morning, giving off the pretence he was going to school, but had later returned home after his family had left the house. Andrew then went to the train station and took out £200 from his account to mysteriously purchase a one-way ticket for London. Dad Kevin revealed to BBC: “He apparently just disappeared off the face of the Earth. It’s psychologically impossible to deal with. There have been numerous sightings of Andrew since he went missing and he is currently the face of Missing People charity’s Find Every Child campaign. However no real leads have come out of the investigation and the family blame the South Yorkshire Police for their handling of the investigation as “too slow, too chaotic and disorganised”. Kevin said it was the family that managed to track down the CCTV of Andrew on his way to the train station, and they were also the ones to speak to the ticket man at the station. CCTV footage of Andrew arriving at King’s Cross was not found until 27 days after his disappearance, Kevin claims. Out of the dozens of “sightings”, the family say the most plausible place him at Pizza Hut on Oxford Street on September 14, 2007, and then later in Covent Garden. After four years of no leads, the family hired specialists to carry out a sonar scan of the River Thames and say they haven’t given up hope to this day. Part of the anguish for Andrew’s family is not being able to get their heads around why their smart “home bird” son, who was part of the government’s Young, Gifted & Talented Programme for exceptional students, would have left. Charlotte said: “If there were problems and he was running away from something, or experienced any kind of depression or anything like that, I would have really hoped he could have spoken to me at least out of everyone. The heartbroken Gosdens have tried to keep his room as he left it, with his t-shirts still in his drawers and his rock and gem collection displayed on a shelf. But not knowing what has happened to Andrew has haunted the family for the last decade and his dad revealed he has suffered anxiety, depression, post-traumatic stress disorder and suicidal thoughts as a result. The day-to-day absence of Andrew in their home is a constant reminder of him being missing, but the family say they refuse to leave the home or change the locks. In a statement released by South Yorkshire Police, “thorough and comprehensive” leads were examined. In the anniversary of his disappearance they urge anyone to come forwards if they have any information. Detective Chief Inspector Joanne Bates Joanne Bates said: “Andrew had a familiarity with London tourist attractions including Westminster Palace, the London Eye, Leicester Square, Trafalgar Square, Tottenham Court Road, Covent Garden, the subway under the river, Greenwich (the park and village), south Kensington, and the Cutty Sark, and all possible lines of enquiry have been investigated in relation to these areas. “Andrew’s family, friends and school have all been spoken to on numerous occasions and Andrew’s DNA and fingerprints circulated, as well as his dental and health records, to appropriate agencies and organisations in a bid to trace his whereabouts. “I would ask anyone, maybe new friends, neighbours or workmates, who believe they know a 24-year-old man that could be Andrew, but aren’t aware of his past beyond the last few years, to please come forward. Over 135,000 individuals went missing in England and Wales in 2015-16, with nearly 80 per cent being resolved within 24 hours and only 2 per cent being unresolved within a week. Currently 3,000 people in the UK have been missing for a decade.